Alvaro Bautista has scored 11 race wins in a row! 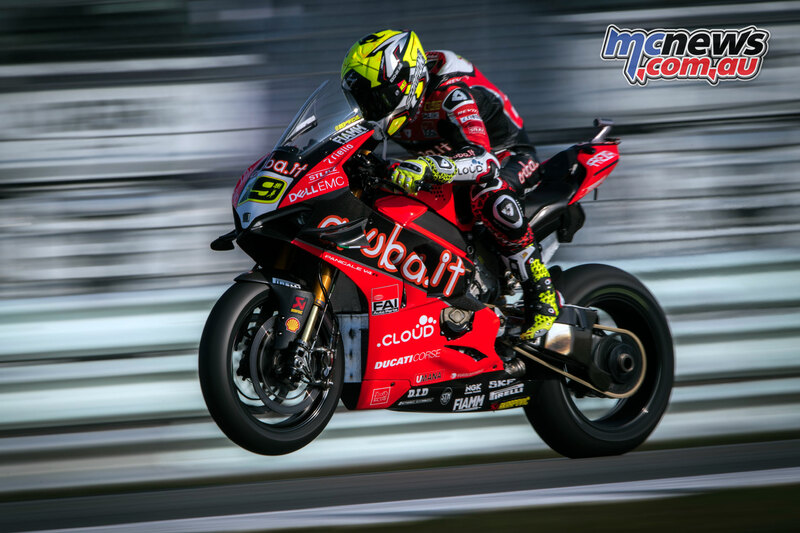 Alvaro Bautista’s winning streak continued at Assen despite a max-rpm penalty and weather, with the weekend’s racing all held on Sunday, while the Sprint was cancelled. Taking both race wins the 34-year-old from Talavera de la Reina now equals Jonathan Rea’s consecutive winning streak of 11, albeit with Rea’s race wins being full length races. 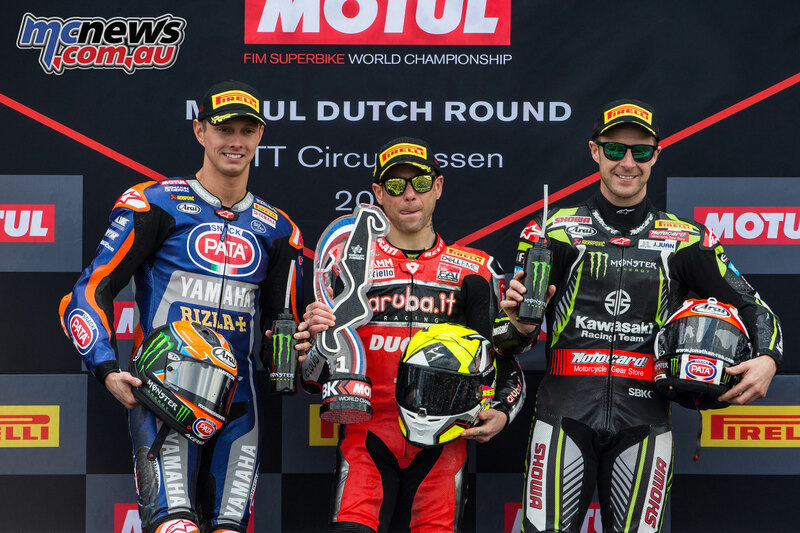 The weekend saw Rea and Michael van der Mark swap the final podium positions each claiming a second-place result and third-place result, with Bautista leaving Assen on 236 points to Rea’s 183. 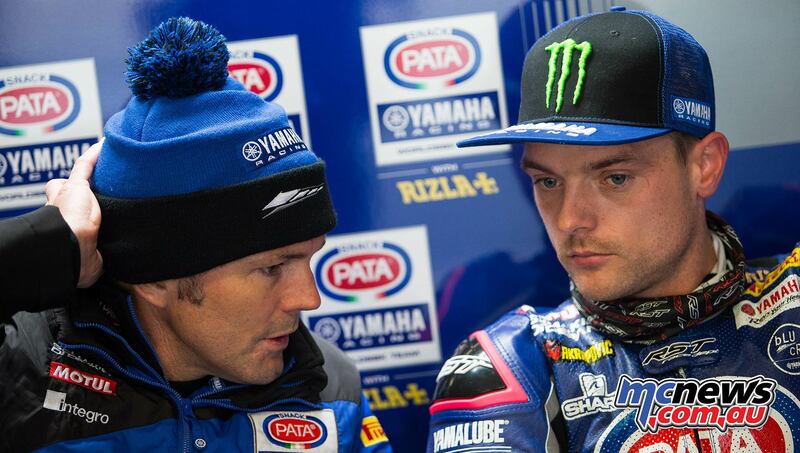 Van der Mark sits fourth in the standings on 115, 11-points behind teammate Alex Lowes. 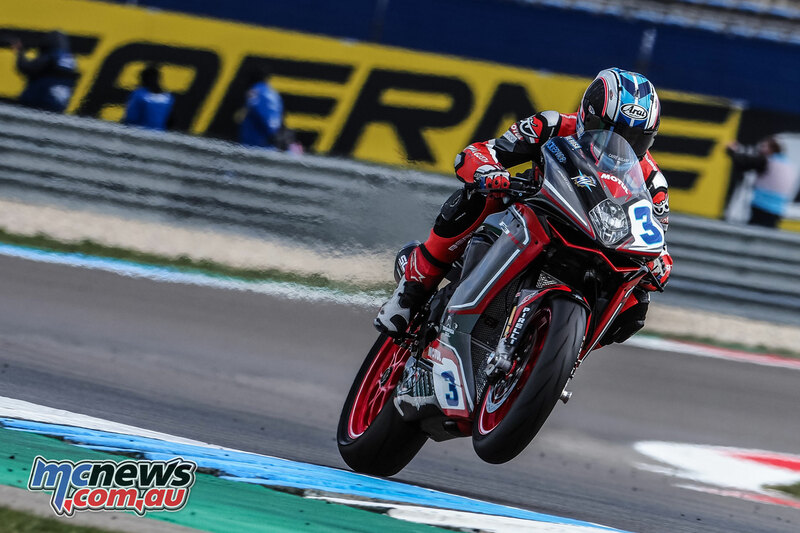 It was a brilliant start by Markus Reiterberger, who was up to second position, demoting Michael van der Mark, while Leon Haslam was fourth. Rocketing through on the first lap from eighth, Jonathan Rea was fifth by the end of the lap one, before getting his teammate for fourth at Turn 1 at the start of lap two. 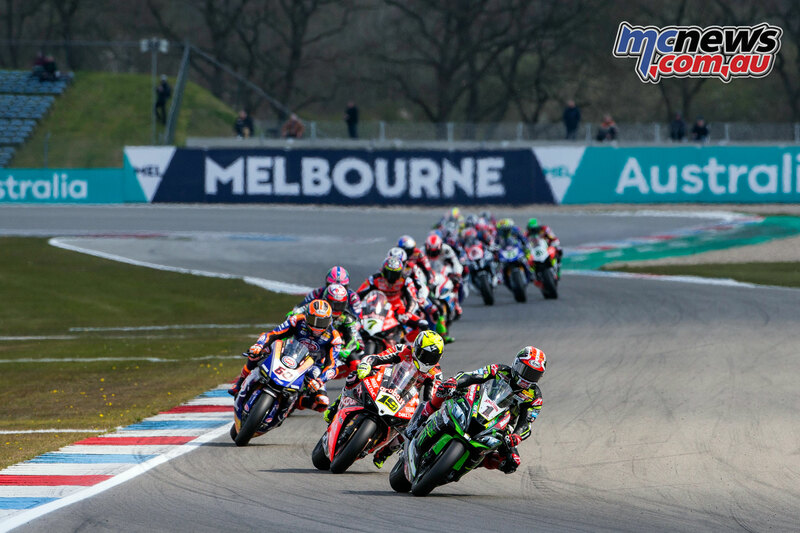 As the race settled down, Michael van der Mark began to drop back, unable to fight off a rampant Jonathan Rea. 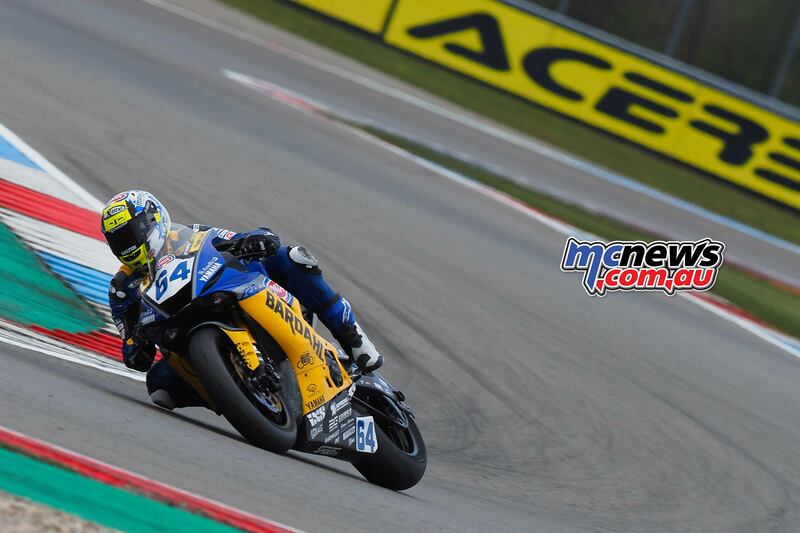 Soon, the Dutchman had Alex Lowes for company, whilst out front, Alvaro Bautista was beginning to stretch Reiterberger. Rea was starting to close but not enough to get on terms with Reiterberger straight away. Chaz Davies was in a battle with Tom Sykes, before starting to pull away in the middle of the race. 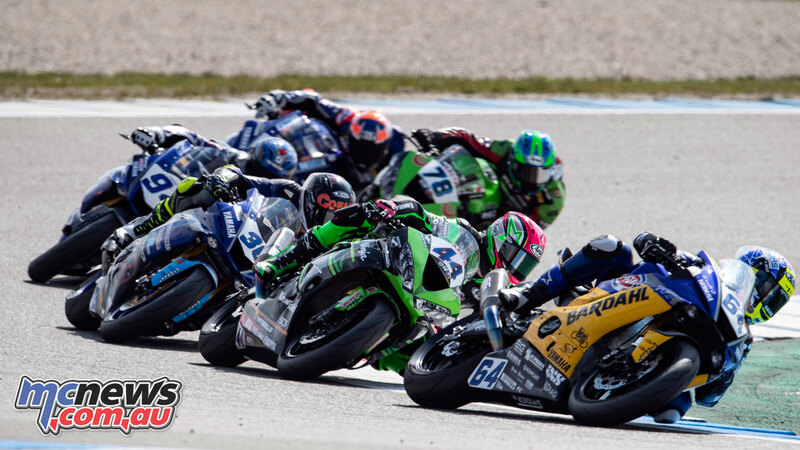 Behind Sykes in the same battle were the leading Independent riders, consisting of Jordi Torres and Toprak Razgatlioglu. The two riders swapped positions rather aggressively between Turns 1 and Turn 2. The Spaniard still able to stay ahead of the Turkish rider. Outside of the top ten, Leon Camier was in eleventh, with Marco Melandri recovering to 12th ahead of his teammate Sandro Cortese. Eugene Laverty couldn’t replicate his Aragon success and was 14th, whilst Ryuichi Kiyonari rounded out the points. Hector Barbera was two laps down in 16th. 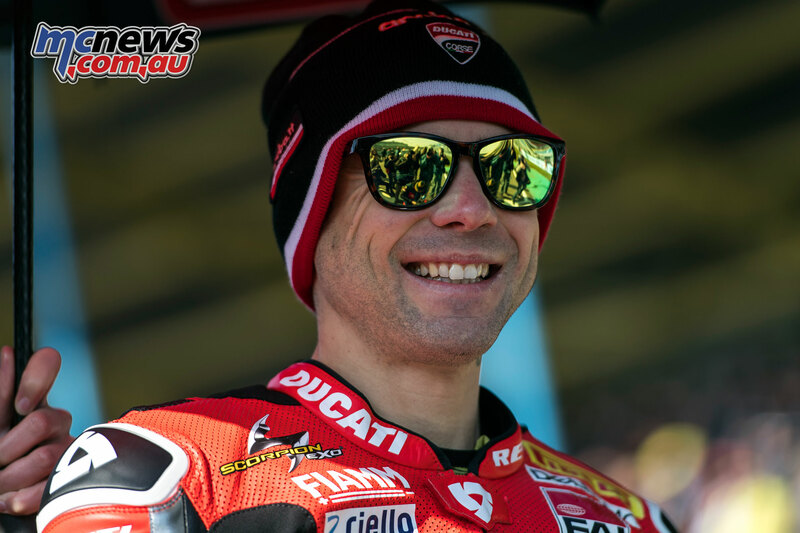 Bautista’s win makes it the first for Ducati at TT Circuit Assen since Sylvain Guintoli in 2012, Race 1. 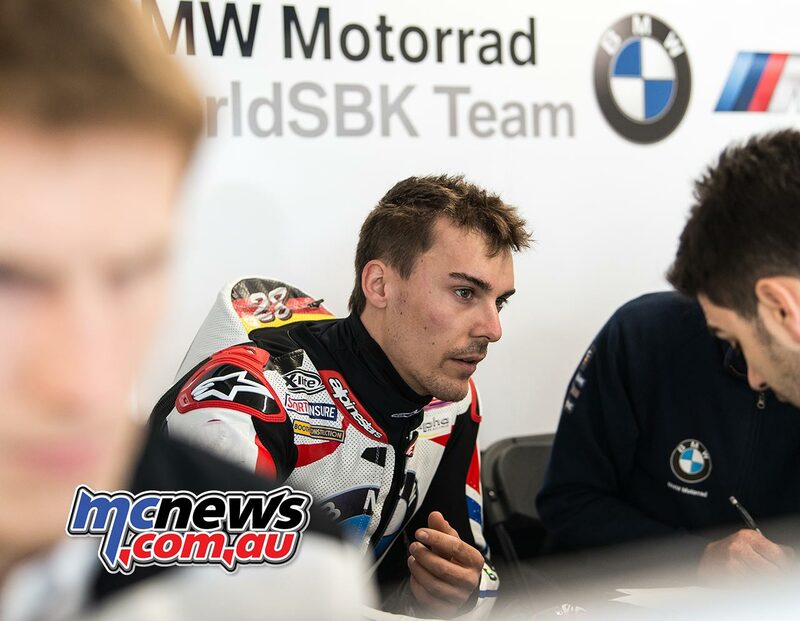 He is also the first rider ever in WorldSBK history to take ten victories in the opening ten races. There were no crashers in the race, but Italians Alessandro Delbianco and Michael Ruben Rinaldi retired. 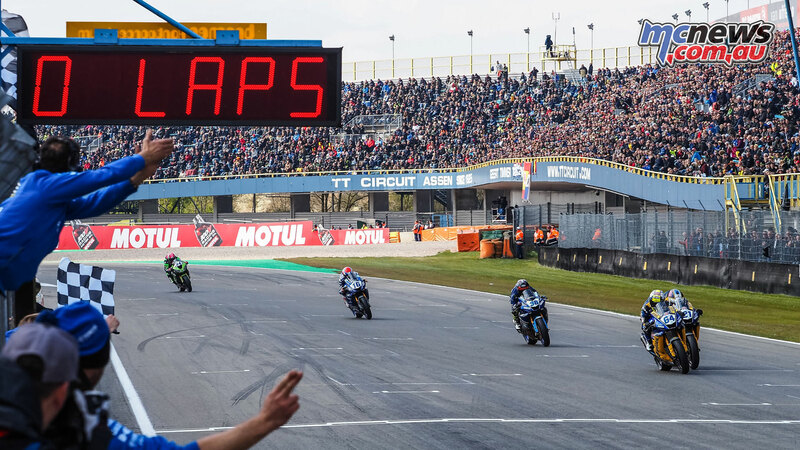 Once more, WorldSBK went to war on the famous TT Circuit Assen layout, with ten riders in the leading group in the early stages. 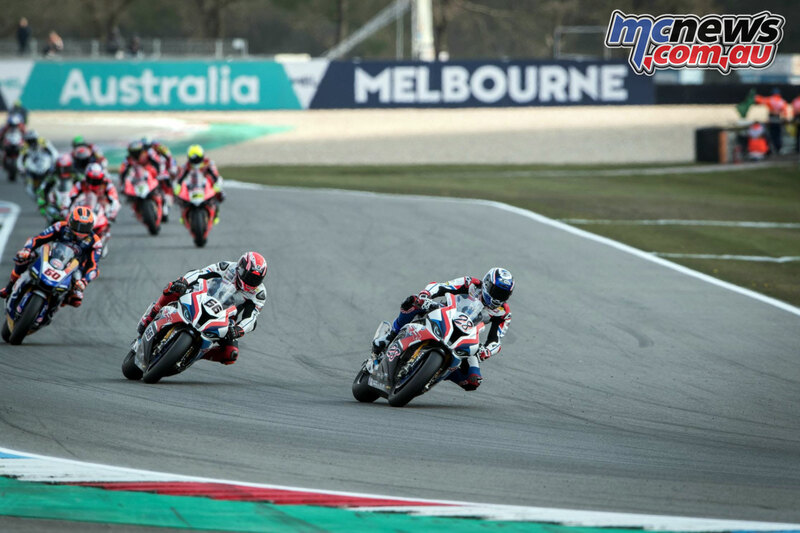 However, after an incredible start, Jonathan Rea couldn’t hold off Alvaro Bautista any longer, as the Spaniard battled through to take an 11th race win of the year! 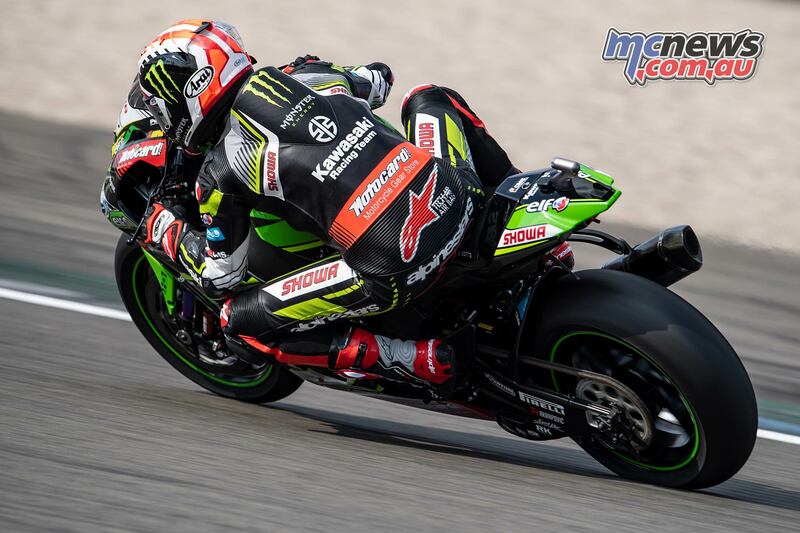 A frantic first lap saw Jonathan Rea erupt through the grid from eighth and was already up to the lead by Turn 5, in what was an impressive opening few corners from the reigning four-time champion. 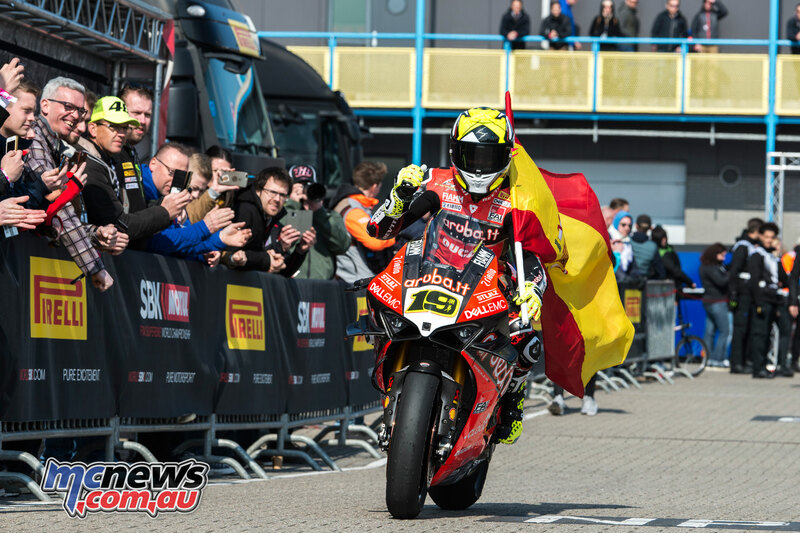 Alvaro Bautista was placed in second but under some serious pressure from home-hero, Michael van der Mark. Leon Haslam was also right in the mix during the opening laps, whilst Alex Lowes and Chaz Davies completed the top six. 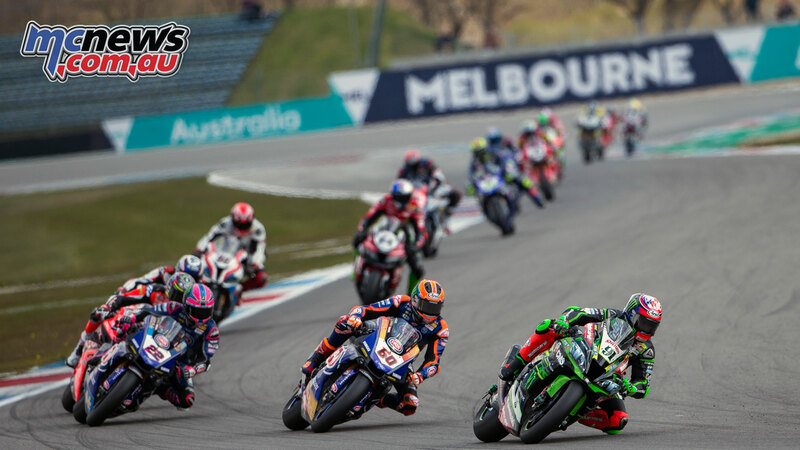 The race unfolded, and Jonathan Rea was putting in a fantastic effort to defend from Bautista, standing the bike up on the apex of Turn 5 in order to back Bautista up into the chasing pack. 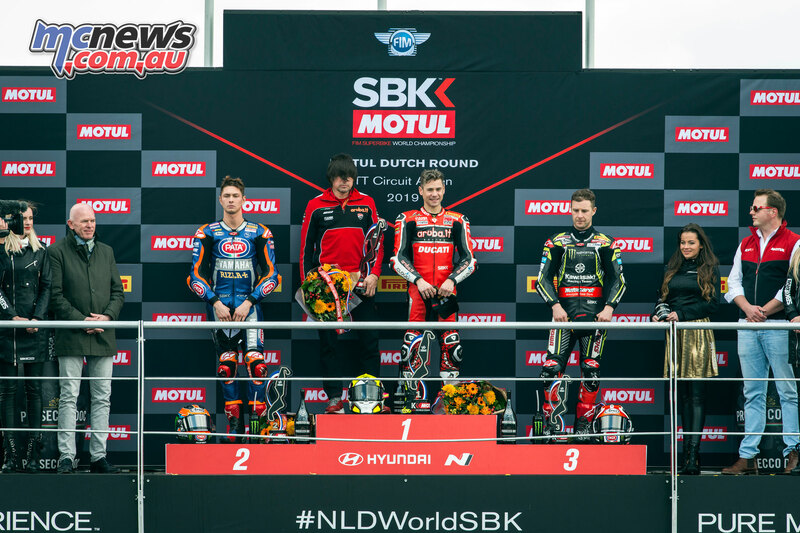 Chaz Davies was able to climb up the order and got as high as third, while Michael van der Mark was being pushed back down the order, to fifth. Rea was soon back into the second place, getting ahead of Davies at the final chicane. Alex Lowes was still ahead of his teammate, but Leon Haslam was the rider who looked rather ominous, lapping quicker than the two Yamaha riders ahead. Just behind, it was another solid ride from Markus Reiterberger who was seventh for the majority of the race. 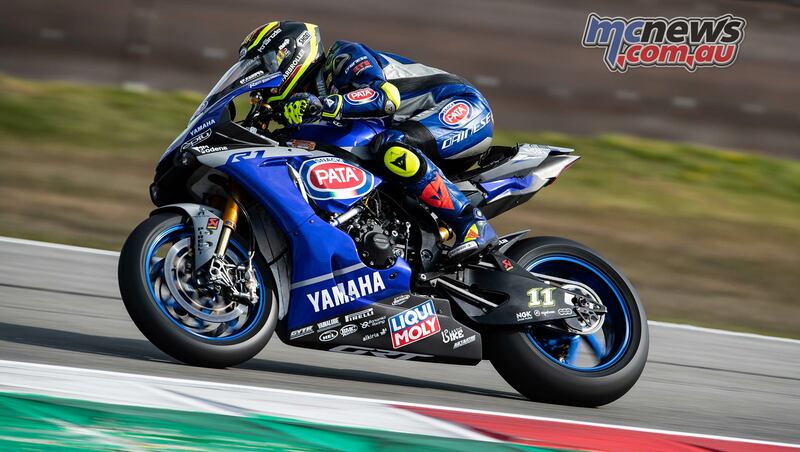 From the middle of the race, it was a phenomenal ride from Michael van der Mark, who was lapping far quicker than everyone ahead of him, including Bautista at one point. The Dutch rider was heroic, bridging a huge gap in short time to catch Jonathan Rea with just three laps remaining. At Turn 13, around the outside, a brave van der Mark roared ahead, with Rea now facing losing more points to Bautista. As Rea went backwards, it was his teammate Haslam who suffered a similar fate after looking so strong, sliding back behind the BMWs of Reiterberger and Tom Sykes. 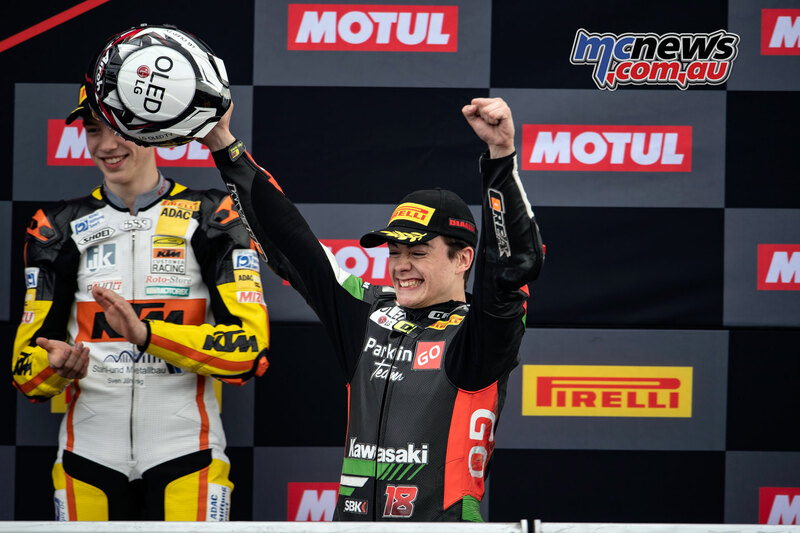 With the last lap upon us, Bautista had secured enough of an advantage to secure another win, and despite a desperate attempt by Rea at Turn 10 to get ahead of van der Mark – where they collided – it wasn’t enough, with the crowd’s favourite battling hard to remain ahead. 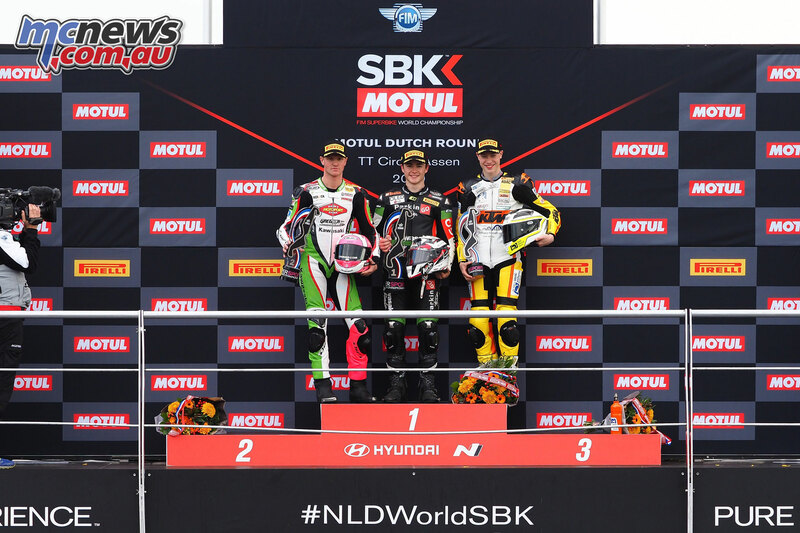 Bautista took the victory but on a run to the line, Rea got alongside van der Mark, but the Dutch star held on ahead of the reigning four-time WorldSBK Champion! 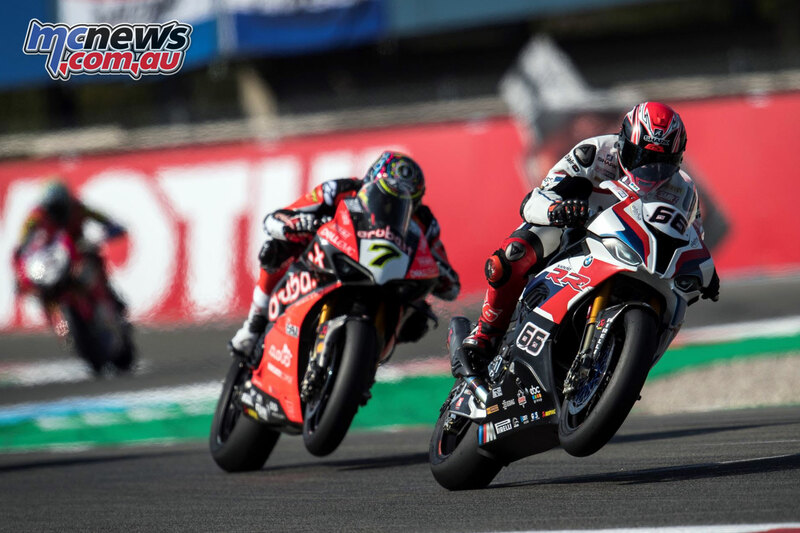 Fourth position was secured by Alex Lowes ahead of Chaz Davies, whilst Markus Reiterberger held off Tom Sykes on a run to the line for his second consecutive sixth position. 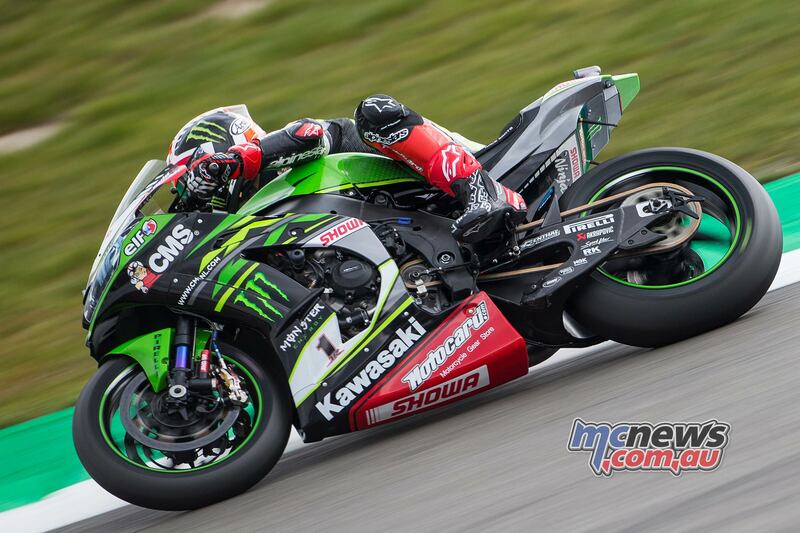 In eighth position, Leon Haslam struggled home, some 20 seconds behind race winner Bautista. 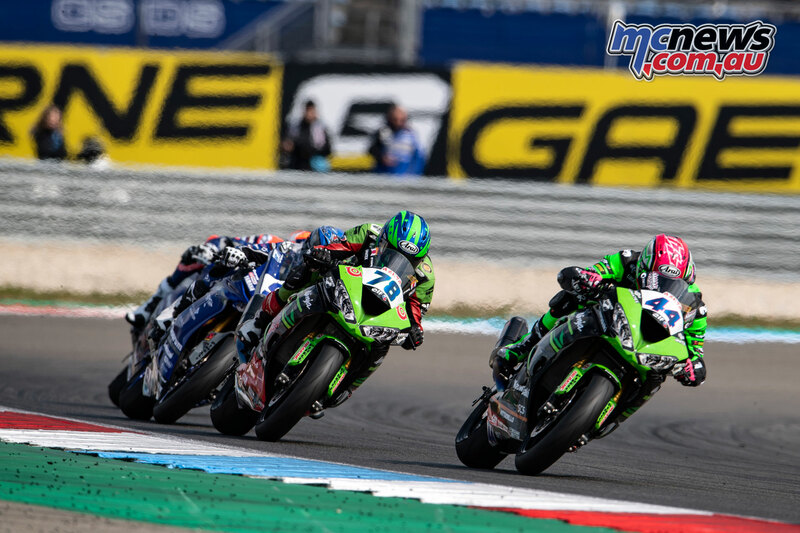 He was only just ahead of the two Independent Kawasaki riders of Toprak Razgatlioglu and Jordi Torres, completing the top ten in that respective order. 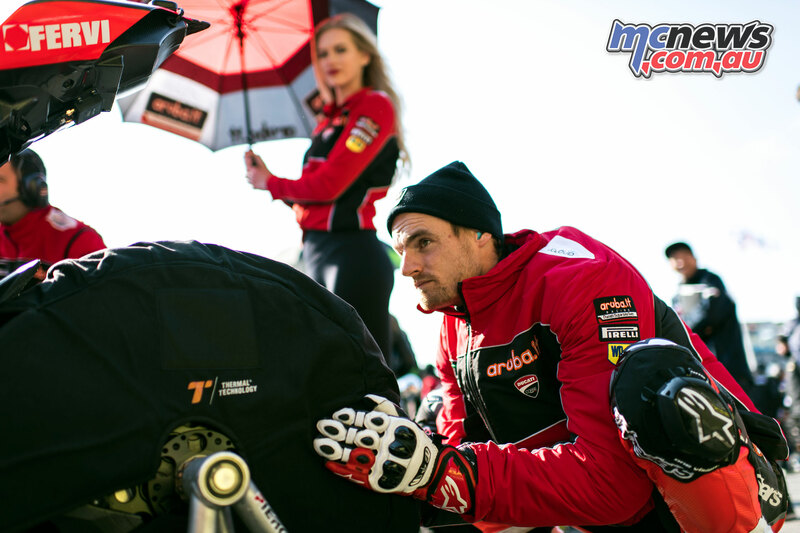 Outside of the top ten, it was Sandro Cortese in 11th and Leon Camier in 12th, whilst Eugene Laverty could only manage 13th. 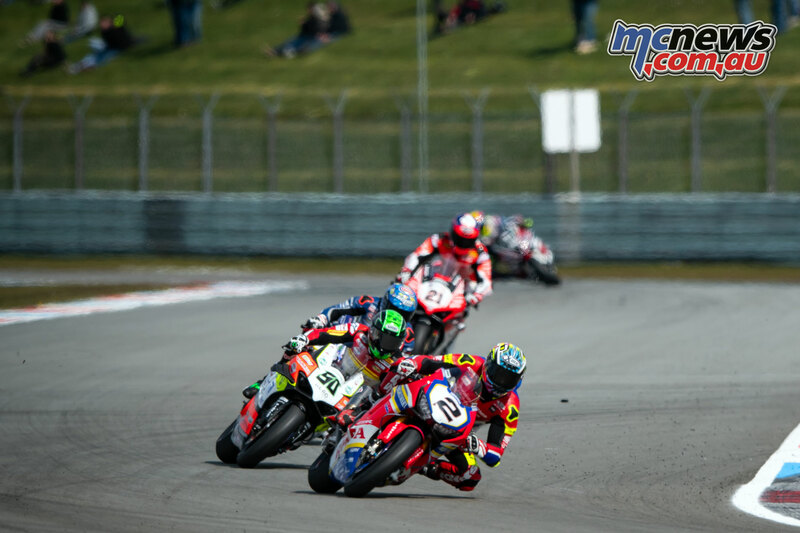 Marco Melandri completed a miserable weekend in 14th after a fierce battle with those ahead of him, whilst Michael Ruben Rinaldi was the last point-scorer. Hector Barbera was 16th ahead of Alessandro Delbianco. Ryuichi Kiyonari retired. 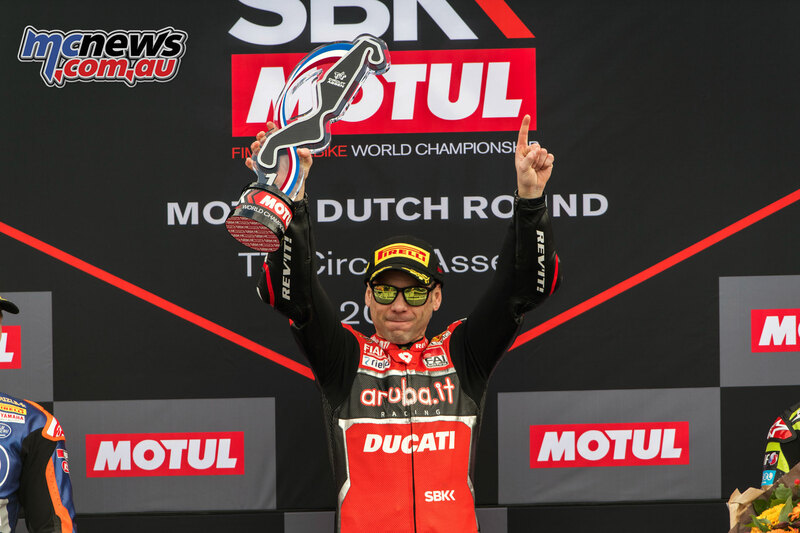 Bautista’s win is a new record in WorldSBK, having won the opening 11 WorldSBK races of a season. 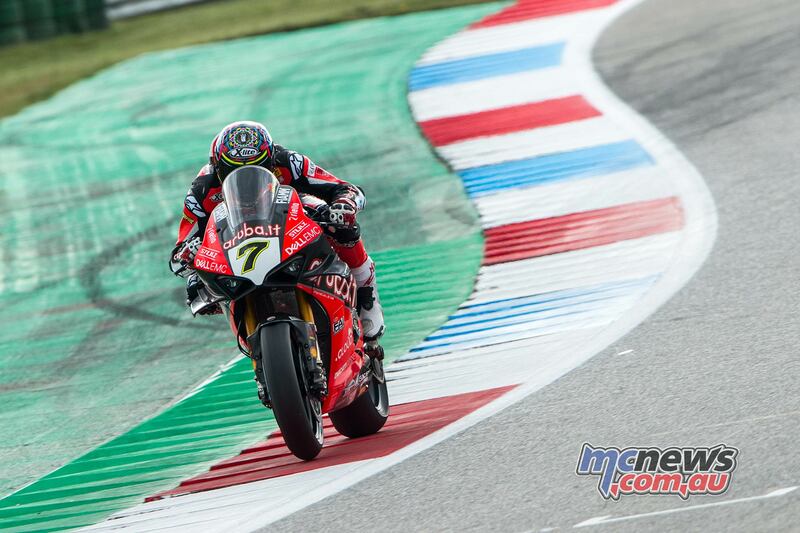 He gives Ducati their 352nd race win in WorldSBK and their 27th at the TT Circuit Assen. 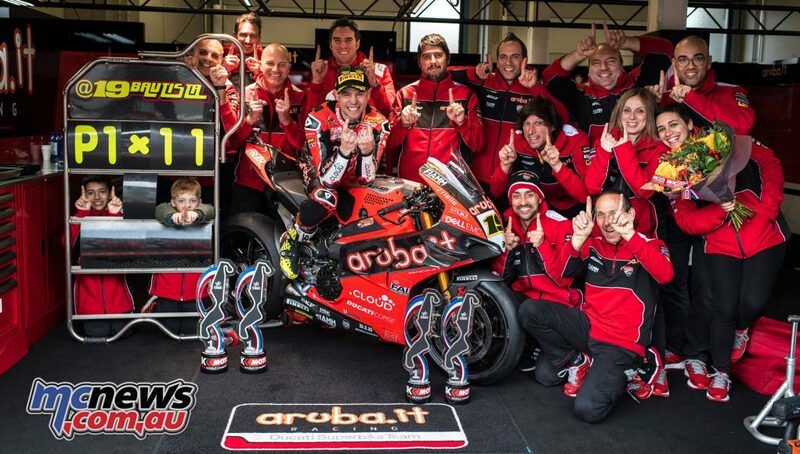 It is also Spain’s 48th win in the WorldSBK class. 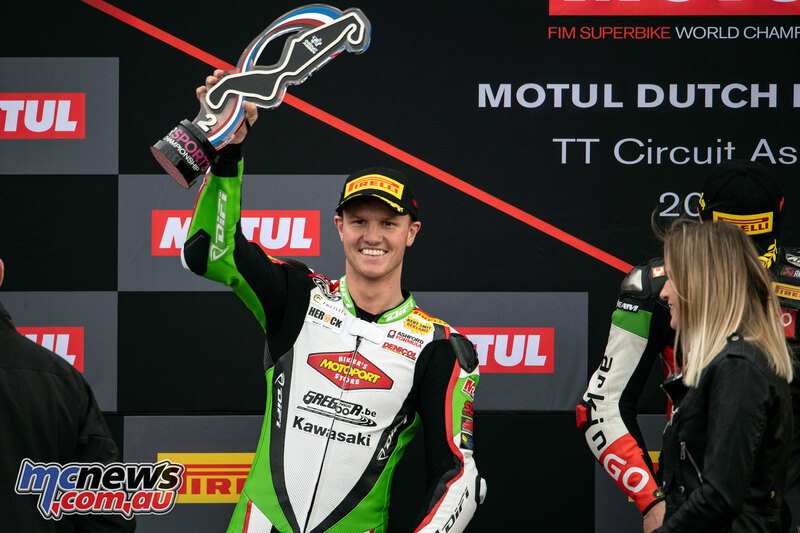 With his 11th win, it puts him level with Jonathan Rea in terms of consecutive race wins, something the reigning champion only achieved last year! 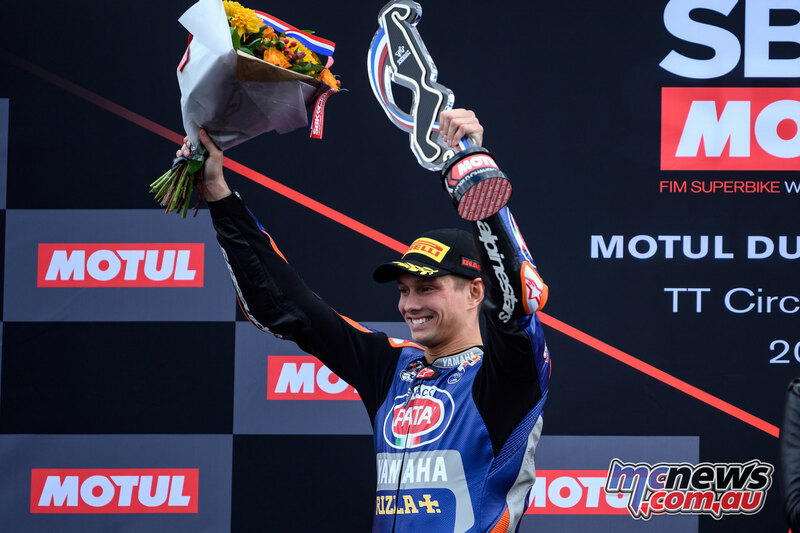 It also puts him level with Ruben Xaus, Regis Laconi and Stephane Mertens with number of wins in their WorldSBK career. 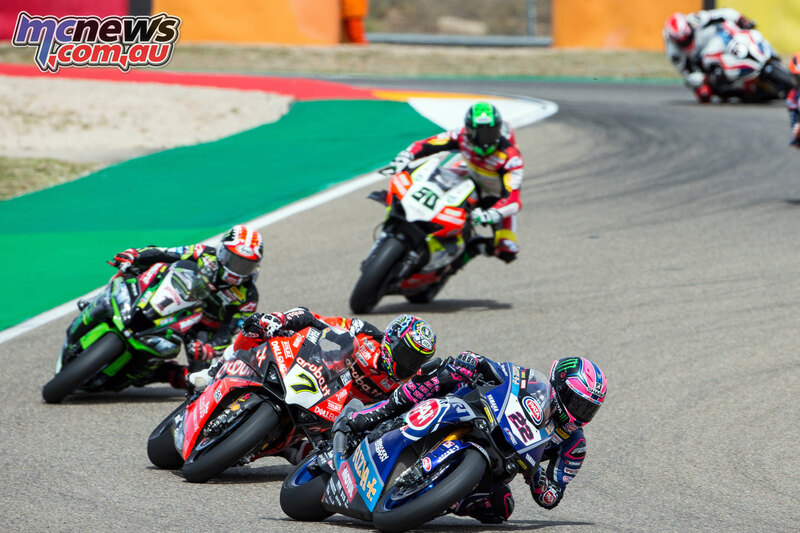 The FIM Supersport World Championship was a yet another fair-bashing, head-to-head squabble, with nothing but pure action prevailing throughout the 18-lap encounter. 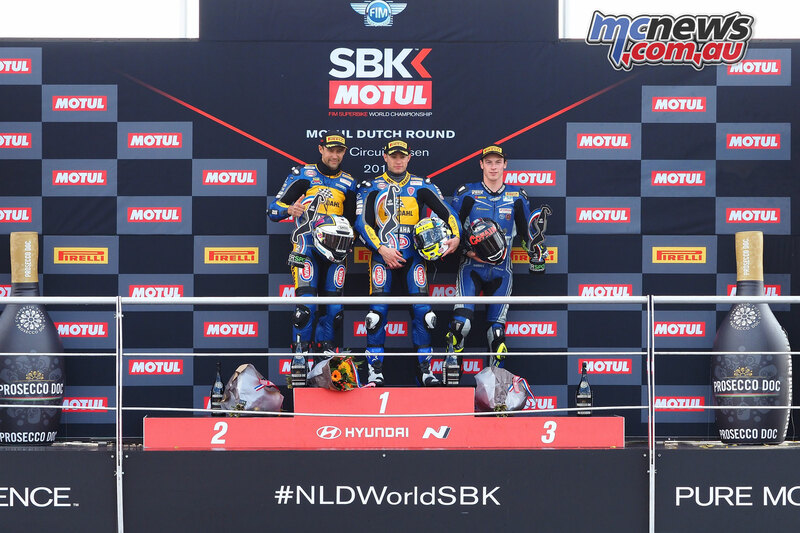 In a group of six riders, it would be Federico Caricasulo who would take his first win of the season, to claw back points on his championship-leading teammate! It was a frantic opening lap that saw Raffaele De Rosa lead into Turn 1, whilst Randy Krummenacher slotted into second position. 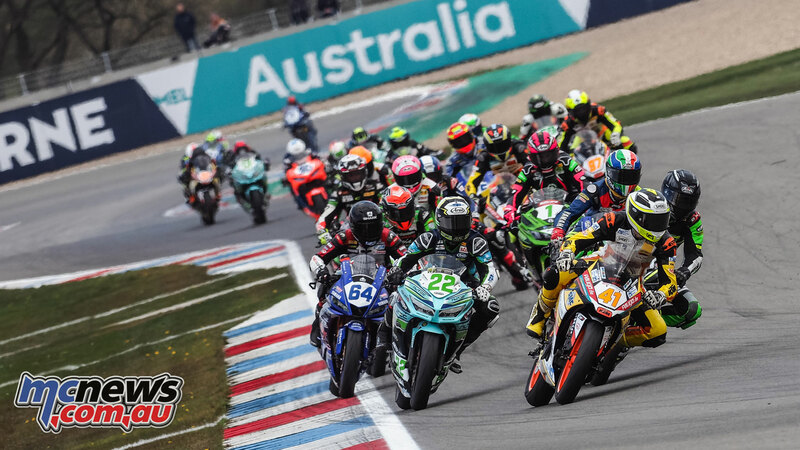 It was a rapid start for Austrian rider Thomas Gradinger who was up to a mighty third position, whereas the same could not be said for Federico Caricasulo, who dropped down as far as eighth on the opening lap from second position on the grid. Hannes Soomer maintained his starting position on the opening lap, with fourth position ahead of Jules Cluzel in fifth. Krummenacher took the lead of the race at the end of the opening lap, whilst title rival Jules Cluzel had pushed his way through the field to be fantastic second by Turn 6. It was a good opening few laps of the race for the pairing of Lucas Mahias Hikari Okubo, running well within what started out as a leading group of nine riders. The group then fragmented, with top five escaping and initially leaving Lucas Mahias behind. 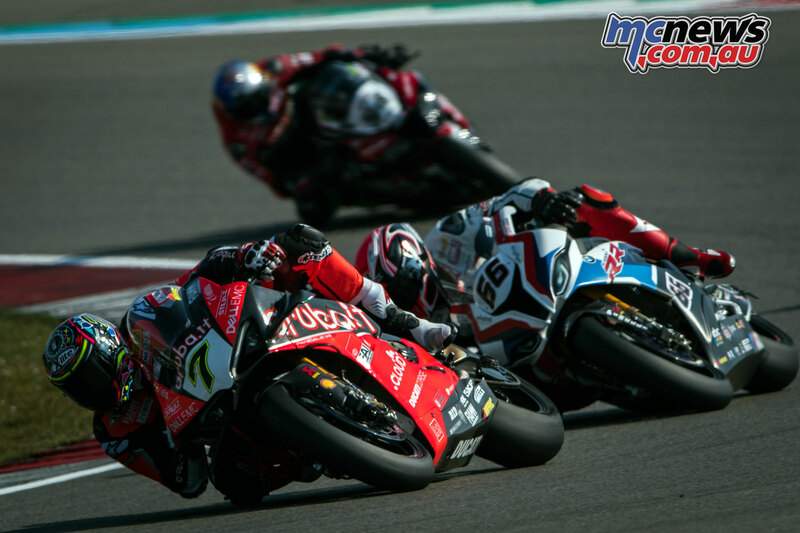 However, it was a strong mid-race that brought Mahias back into the fight, bridging a big gap and setting the fastest lap of the race at the same time. Federico Caricasulo had begun his fight back and was already up to second, courtesy of mistakes of other riders. Raffaele De Rosa was also putting hard moves on riders, with a bold move at Turn 1 for third position, shoving Cluzel off line and back to sixth. Momentarily, this allowed Krummenacher and Caricasulo to escape. However, just half a lap later, De Rosa crashed out at Turn 9, under pressure from Thomas Gradinger and trying to get back in the fight for the lead. The Italian was OK, remounted but returned his MV Agusta to the pits for a second non-score of the WorldSSP season. Now with the leading group down to five riders, the gloves were starting to come off! The final lap soon beckoned and having stalked teammate Krummenacher for the majority of the second half of the race, Caricasulo put in a classy, sophisticated pass at Turn 8 to lead the race for the first time with just half a lap left to go. Krummenacher rode closely for the remaining few corners but wasn’t able to get back ahead! 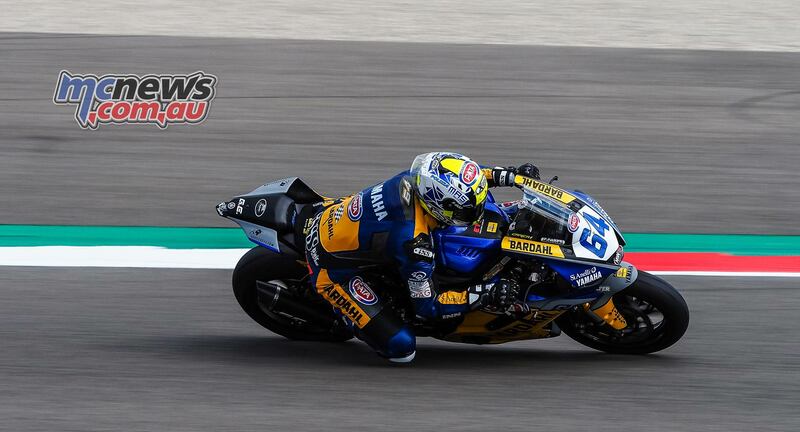 Caricasulo took the victory ahead of his teammate, whilst Thomas Gradinger made history for Austria as he gave the nation their first WorldSSP podium. 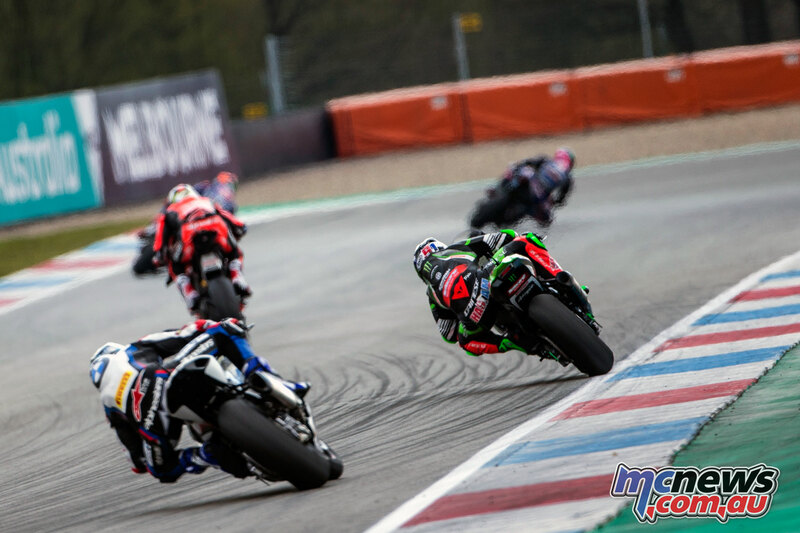 Jules Cluzel was off the podium for the second consecutive race in fourth, whilst Lucas Mahias took his best finish in 2019 with fifth, a little over a second back of winner, Federico Caricasulo. 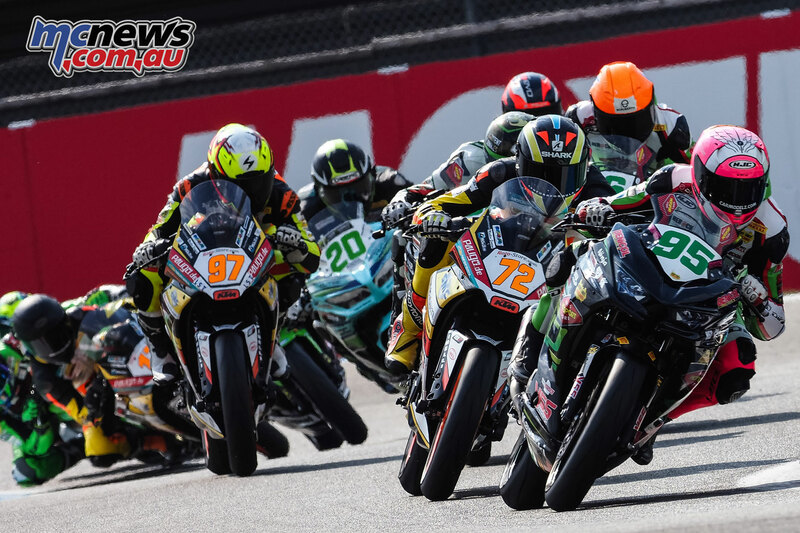 Corentin Perolari was a strong sixth position, holding off Hikari Okubo and Isaac Viñales. 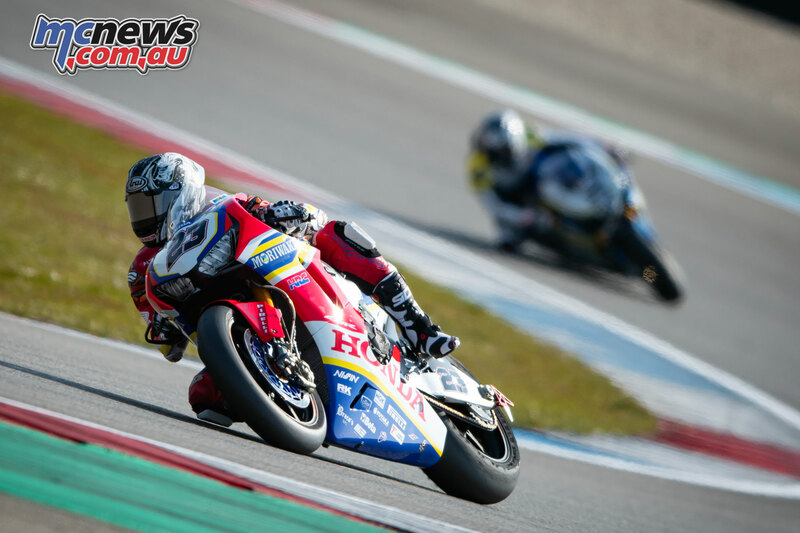 Rounding out the top ten, Glenn van Straalen was ninth and put on a fantastic display in front of his massive home crowd, whereas completing the top ten was Jules Danilo, who finished as top Honda, following a late crash for Estonian, Hannes Soomer. 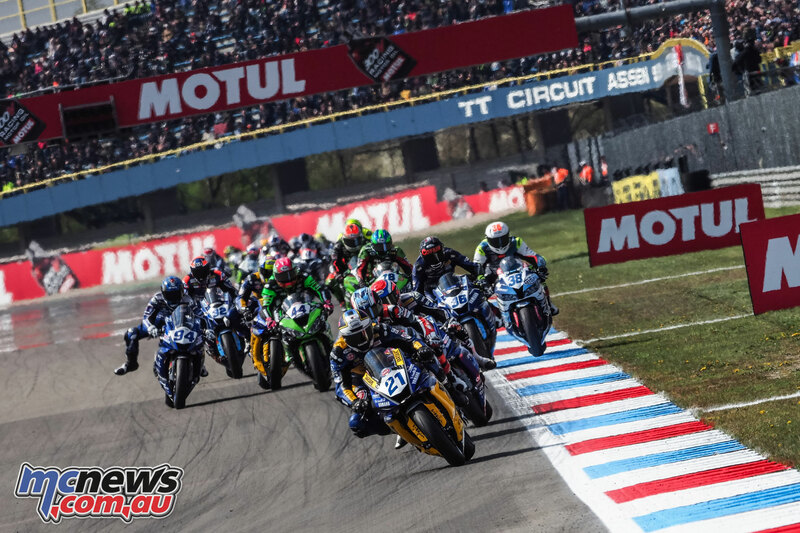 WorldSSP300 once again put on a phenomenal show to complete has been an incredible Motul Dutch Round for the World Supersport 300 championship. 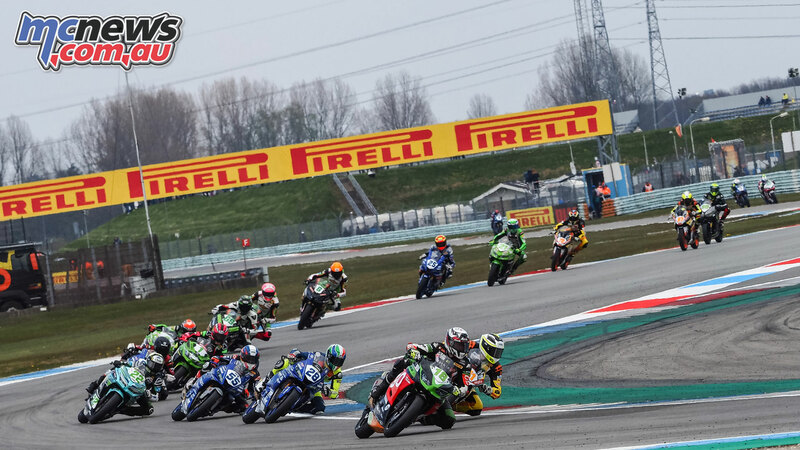 19 riders battled hard to see who would take the victory in front of a packed Assen crowd, which eventually saw Manuel Gonzalez take a second career win! Pole position was taken by Galang Hendra Pratama, who got an incredible start and led by Turn 1. However, despite the big initial gap, the race was far from over, as Manuel Gonzalez pushed through to lead, whilst Hugo De Cancellis also came through the field. Teammate Omar Bonoli was also a prominent figure in the leading group, along with Ana Carrasco, Scott Deroue and Nick Kalinin. As the leaders swapped and changed in frantic fashion throughout the race, there were some massive accidents. Tom Edwards crashed at the ferocious Turn 7, with his bike taking a huge beating on Lap 3. Also crashing in front of him at the same corner and on the same lap, were Kevin Arduini and his teammate, Jack Hyde. In a race which saw riders drop back and then surge forwards, one of the most notable improvers was Bruno Ieraci, who qualified in 28th place but was up in the lead on the final lap, having to fend off the likes of Ana Carrasco and Manuel Gonzalez! It was chaos at the final chicane, as all 19 riders looked to try and make up as many positions as possible. Contact between Jan-Ole Jahnig and Manuel Gonzalez forced the Spaniard off track at the final chicane, but he crossed the line in first! Scott Deroue was in third place as the chasing pack crossed the line, with 2.3s covering the top 19! After a small pause as race direction looked at the results, Gonzalez maintained his victory while Jahnig was forced to drop a place for exceeding track limits! Deroue took second in front of his home fans, whilst Jahnig was third and achieved his first podium! Nick Kalinin was fourth whilst Hugo De Cancellis was fifth.